This is 30% off the print price. The world’s most important and influential cartooning collective delivers one last issue of their uninhibited, id-stroking, mad genius in this farewell 80-page giant - the biggest issue ever! Zap Comix is the most historically and aesthetically important comics series ever published and Zap #16 is the only issue to feature all eight Zapsters under one cover. 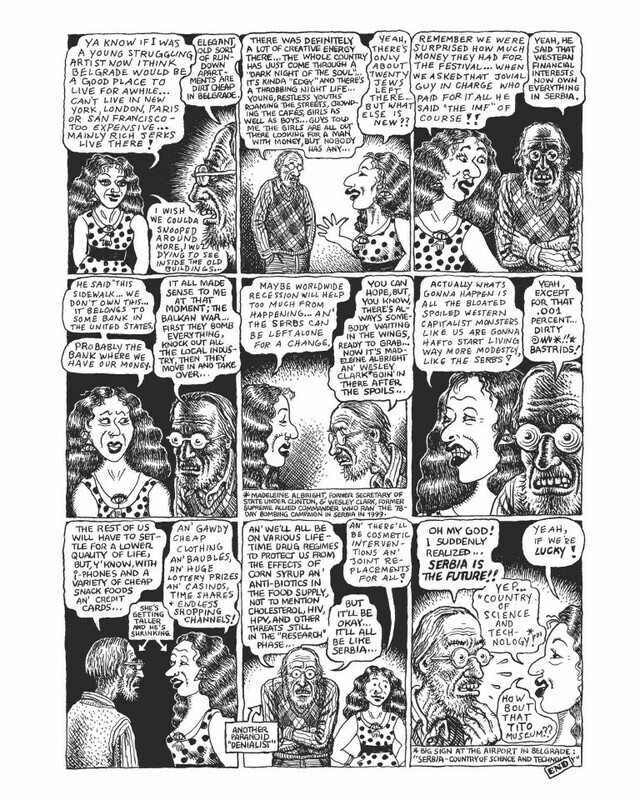 And, at long last, a woman joins the boys’ club as Aline Kominsky-Crumb teams up with Robert Crumb for a delightful and witty series of “Aline and Bob” strips reflecting on their life together- even taking a parting shot at the Zap boys’ club. This final blowout issue not only showcases each artist individually but also includes three double-page jams by the group. 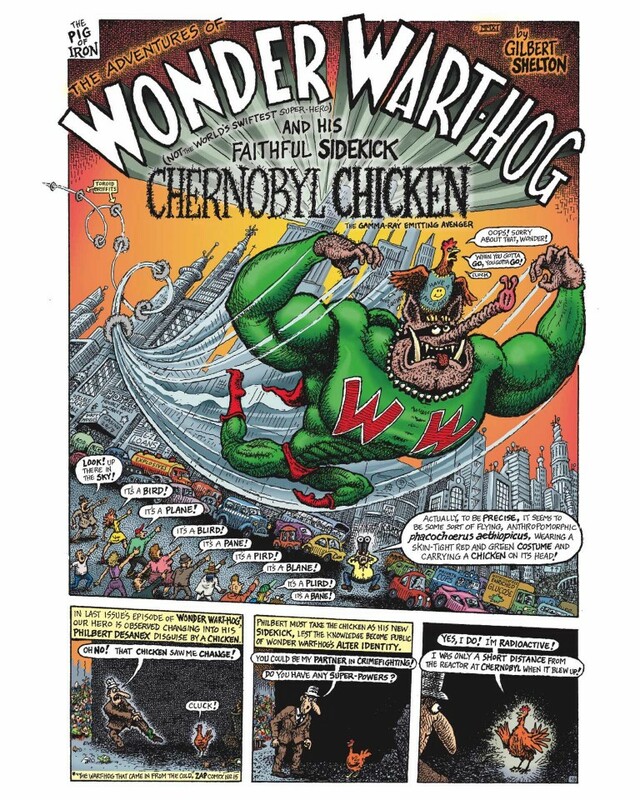 Plus: Zap’s first-and-only color section, featuring comics by R. Crumb and Gilbert Shelton (his final Zap Wonder Wart-hog episode, no less). 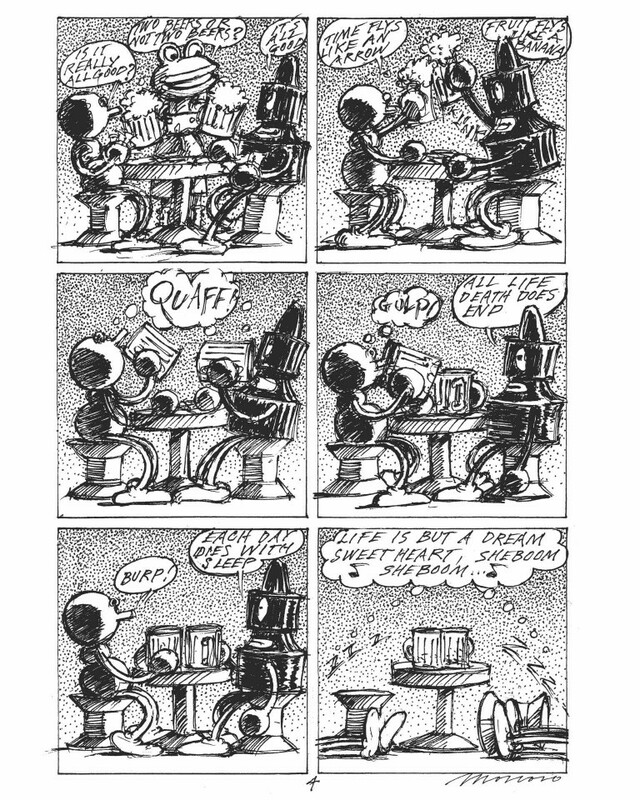 In addition (collector’s take note), Paul Mavrides provides an alternately embellished version of Gilbert Shelton’s and his Fabulous Furry Freak Brothers episode, “Phineas Becomes a Suicide Bomber” (originally inked in the Complete Zap by Shelton). 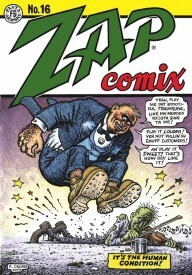 Front cover by R. Crumb. Back cover by Moscoso.